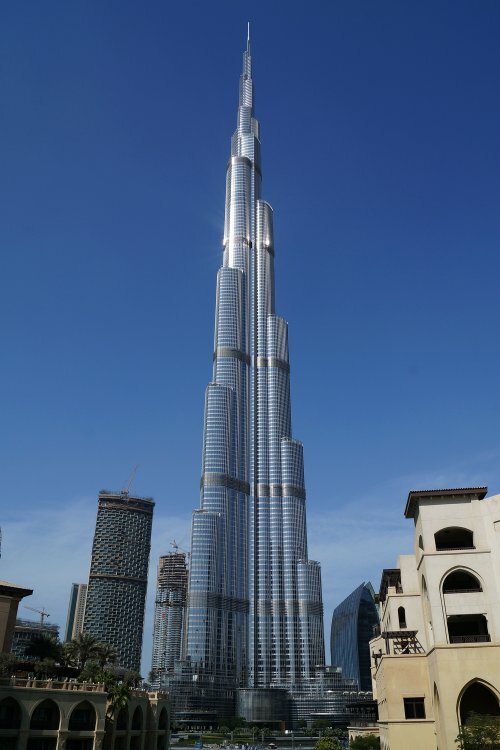 At 829 metres The Burj Khalifa is the tallest man-made structure in the world. 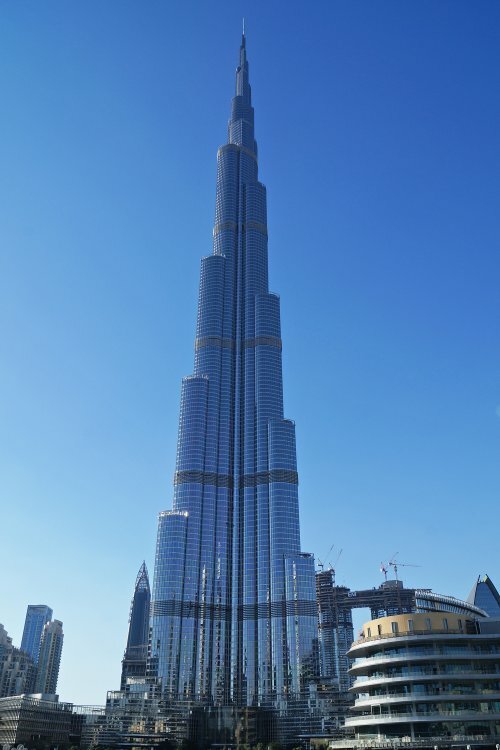 330,000 cubic metres of concrete were used in the construction of Burj Khalifa along with 39,000 tonnes of reinforced steel, 103,000 square metres of glass, and 15,500 square metres of embossed stainless steel. The building is cleverly designed and positioned to deflect the strong prevailing winds. There are 3 sky lobbies with fitness and spa facilities, swimming pools and reception rooms. A man-made lake surrounds the building and contains the world renowned Dubai Fountains which run throughout the evening all year round. In April 2014 French base jumpers Vince Reffet and Fred Fugen leapt from the building's pinnacle to break the world record for the highest base jump from a building. There is a bar and restaurant, Atmosphere, on the 122nd floor. 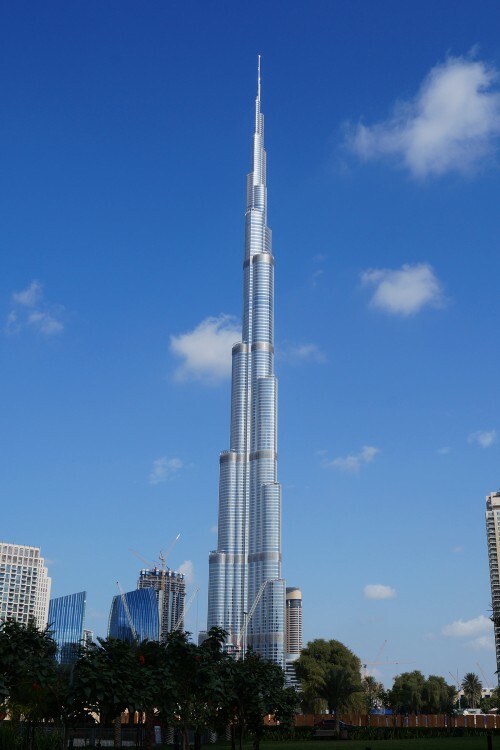 The tower was originally called The Burj Dubai but the name was changed in honour of H.H. Sheikh Khalifa bin Zayed al Nahyan, the president of the UAE. 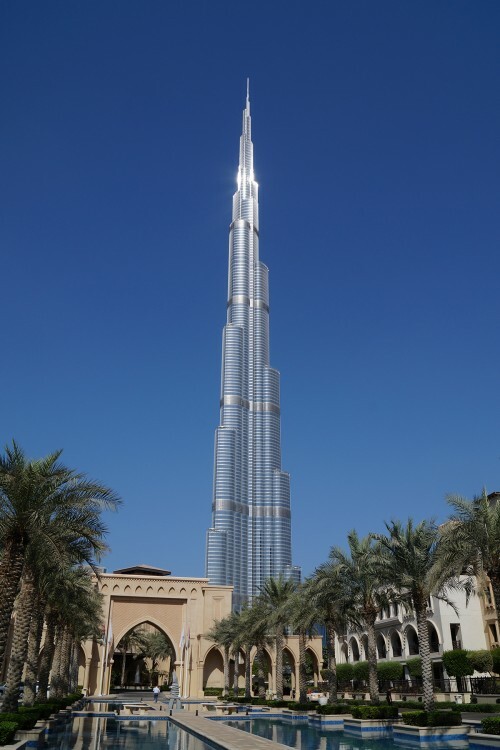 ‘Burj’ is Arabic for ‘Tower’. 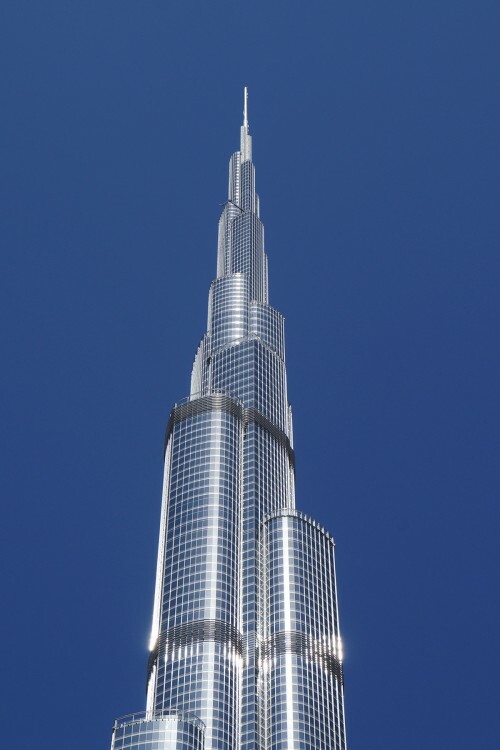 Designed by Adrian D. Smith, FAIA, RIBA Design Partner at Skidmore Owings & Merrill LLP, Burj Khalifa became the world's tallest self-supporting structure on September 12, 2007. 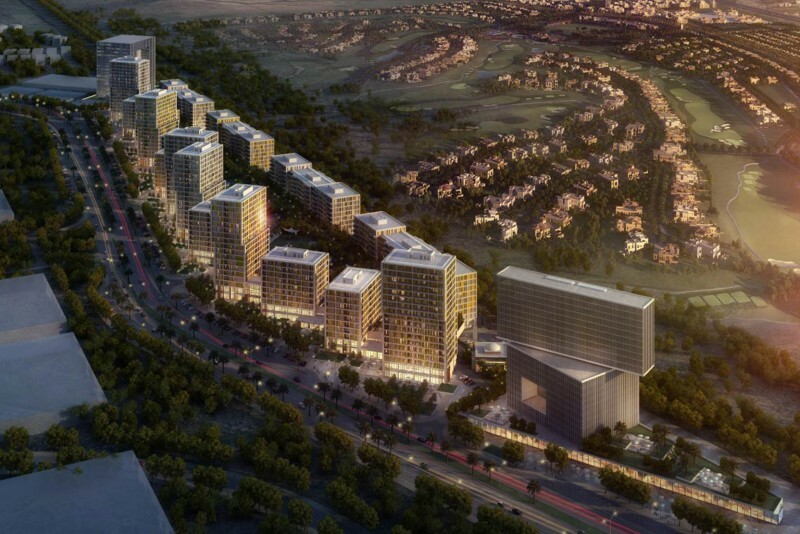 Water collected from the building's air conditioning system is used to irrigate the surrounding landscaped areas. 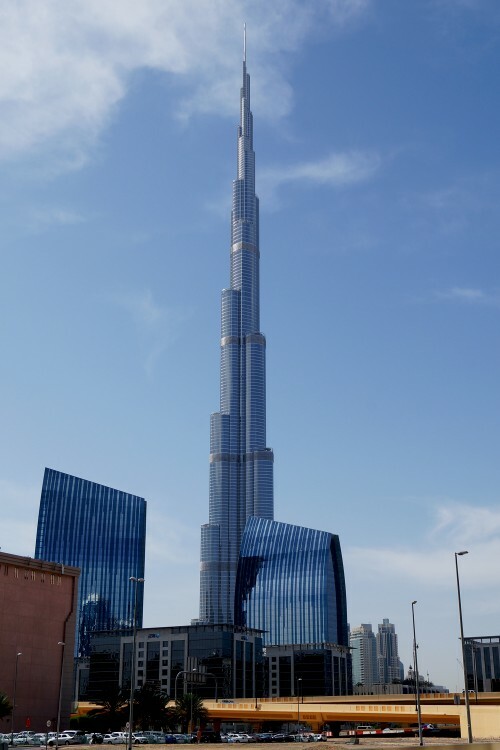 The first 39 floors are occupied by the Armani Hotel which comprises of 160 guest rooms and 144 residences. The triple-lobed footprint of the building is based on a desert flower native to the region. 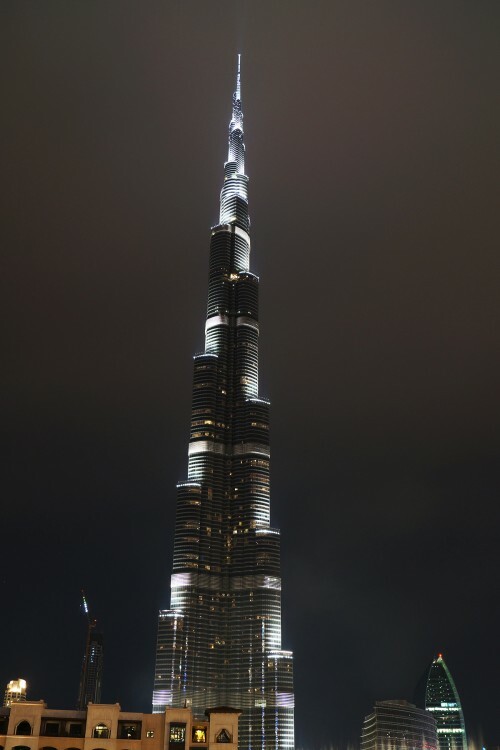 There are two observation decks: one on the 124th floor and one on the 148th floor, the world's highest. The exterior cladding is of reflective glazing with vertical tubular fins of stainless steel. 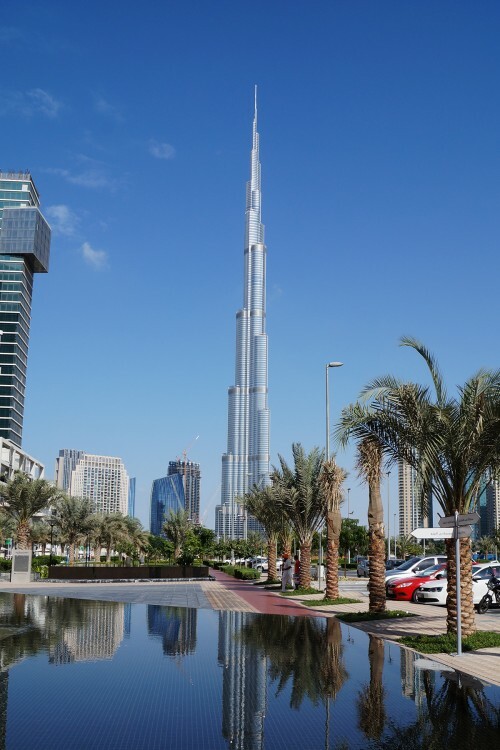 The cladding system is designed to withstand Dubai's extreme summer temperatures. The building uses double-decker elevators travelling at up to 600 metres a minute. The window cleaning is carried out by a team of 36 specially trained workers. The process takes 3-4 months to complete. Owing to the building’s great height there are water tanks in the plant rooms on every 30 floors. The system supplies 946,000 litres of water every day. 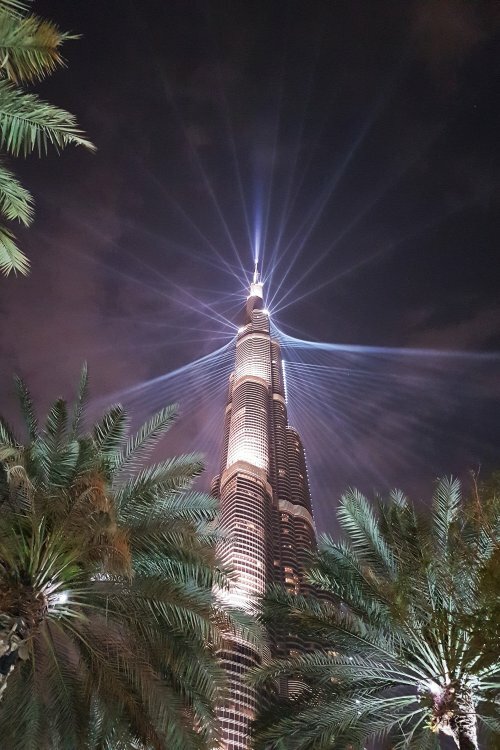 One-click links to properties currently on the market in Burj Khalifa. 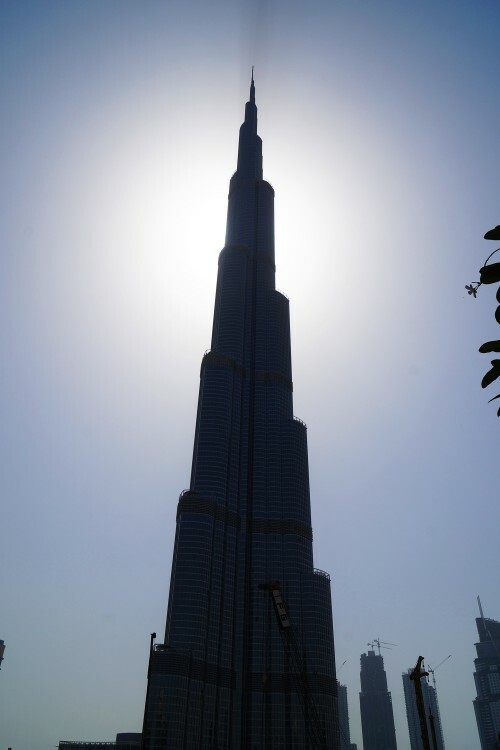 Burj Khalifa reveives an overall rating of 4.5 based on 4 reviews. Users were asked to consider many factors including the view, finishing, layout, noise levels, traffic, public transportation, parking, security, swimming pool, gym, and maintennance. Guests can't enter unless the tenant gives advanced permission. Free valet parking for guests. Excellent customer service, kind, professional staff. 24 hours reception, customer service support. In-house dry cleaning, room service. Lot of construction on the fountain side which makes it very noisy 24/7. Can't open any windows.